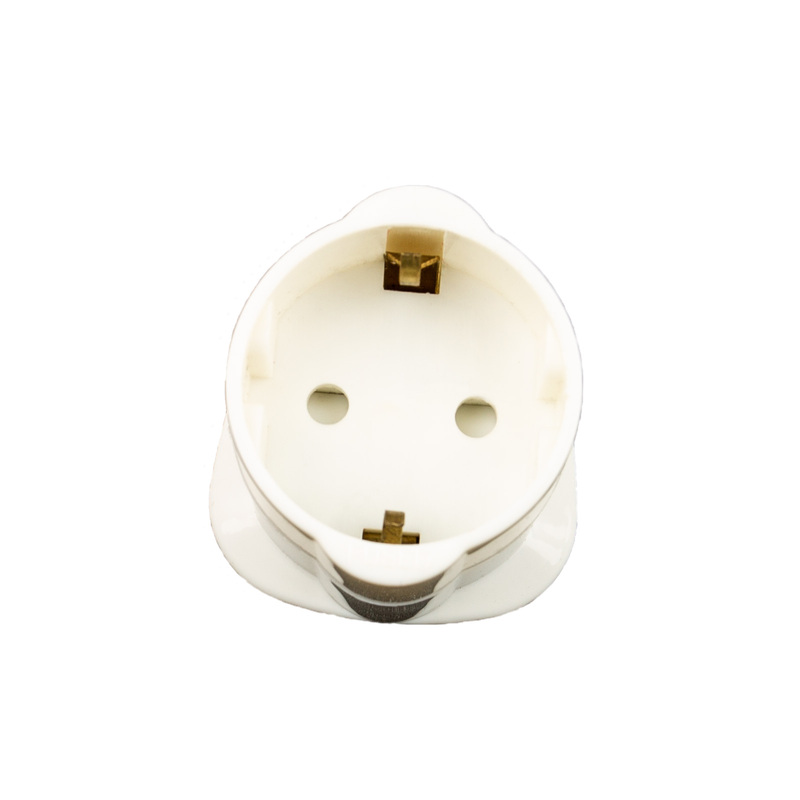 Mains adaptor EU plug to UK socket. WARNING! This adaptor does NOT change Voltage. It adapts the plug only. 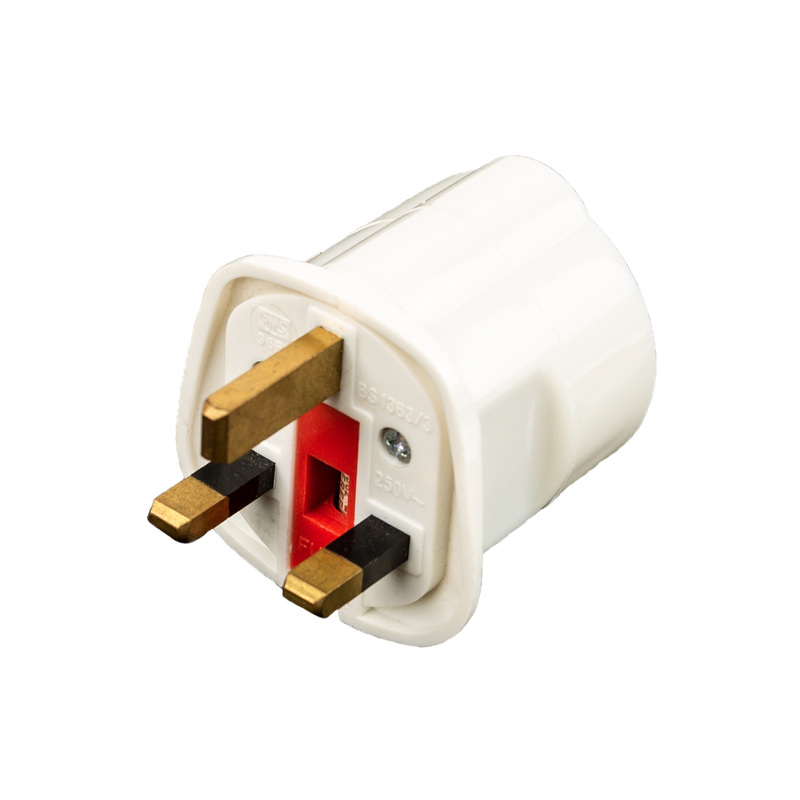 You have to make sure that you appliance can work on UK Voltage!